Call Us For Any Plumbing Services You Need Done! When it comes to plumbing, we do it all. The team at All About Plumbing & Septic is here to make your plumbing worries disappear. We understand that plumbing problems can be stressful and overwhelming, but we have trained and experienced plumbers that work for us that will be able to come out and diagnose the issue right away, give you a quote, and get started to fix it for you. You won’t have to worry about poor workmanship or having issues down the line, because our plumbers are extremely experienced and take extra precaution to make sure that nothing will go wrong and that your plumbing is all running smoothly before they leave. If there is ever an issue that comes back or is not taken care of to your satisfaction, just give us a call at 828-778-2425, and we will come back right away and take care of it for you. The stress of a plumbing problem and the expense that comes with it is one of the most frustrating parts for many people. This is why we offer a free estimate when you call us, so that there is no hassle or worry. We will come out and see what is going on. Once we determine the problem and see all that we need to do, we can give you a price and if you like it, we can start the work right then. There is no job that is too big or small, we can help you with anything you need. All About Plumbing & Septic works on commercial and residential, so that no matter what you need and where you are, we will be able to provide service to you. We are also always available to answer your questions. If you have a plumbing problem that you are unsure of or a situation that you could use a little advice on, we are more than happy to help you out. Call one of our professionals, and we can walk you through a process or give you the advice you need to succeed in whatever you are trying to do. When you need plumbing services in Mills River, Hendersonville, and Asheville, NC, that you can count on every single time, we are the company for you. Let us do what we do best and provide you with any plumbing service you need, on time and done right. We Install Plumbing in Your Kitchen, Bathrooms, and More! There is no need to worry about improper installation because, when we install something, we fully test it before we leave your home or place of business. Your satisfaction is what we always strive for and if it is not right, we will make it right. A few plumbing services that we see all of the time are drain line issues like clogging and hydro jetting. Water heater repairs and maintenance is also something we urge you to call us for right away. We service any brand and type of water heater and if you are in the market for a replacement, we can even help you find the best one for your budget, home, and energy efficiency. Water heaters also should be serviced and inspected regularly to make sure that they live a long life and don’t suddenly go out on you, leaving you stranded with cold water. We can do anything from repairs to designing a water heater that is custom for your home or commercial establishment and gives you exactly what you need or want. If you are interested in a service contract that would allow you to save money and get special perks for us to come out a few times a year and do maintenance and inspections on things like your water heater or pipes. This just helps keep your home in tip-top shape and allows you to have peace of mind that you aren’t going to have any kind of plumbing emergency out of the blue. When you are building your home or commercial building and need a plumbing team with the utmost experience, we will be able to provide that to you. Our team has plumbers that can help you come up with a design that works around you and will not only work exactly how you need it to, but it will also be efficient in every way. If you are looking for something more energy efficient or trying to keep it green for the environment we can design green plumbing that you can approve of. When you are needing plumbing repair service for your home or business, you can count on the team at All About Plumbing & Septic. Here are some of the plumbing services that we are able to provide our clients. 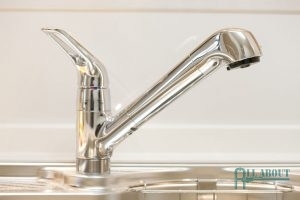 Faucet Repair If you have a leaky faucet, please contact us today for repair service. Garbage Disposal Repair For garbage disposals that aren’t working properly, call our plumbers. Gas Line Repair We is able to repair gas lines so that your home or business is safe. Pipe Leak Repair If there are leaks in your pipes, don’t worry! We can fix the pipe and get rid of those pesky leaks. Sewer Line Repair When you are having issues with your sewer line, we can provide your sewer line with repair service. Slab Leak Repair If there is a slab leak in your home or business, call us right away to repair it. Trenchless Sewer Repair Trenchless sewer repairs are an easy and noninvasive way to fix your sewer when there is damage. To learn more about our plumbing services in Mills River, Hendersonville, and Asheville, NC that include plumbing installation, inspection, repair, and replacement, call us at 828-778-2425! We are proud to offer both residential and commercial plumbing services. Choosing a plumbing company that you can count on is always a personal choice. Check out our reviews and give us a call so that we can show you what good service is, and we can use our extensive knowledge to help get your plumbing to where it should be. We offer free estimates and it is free for us to come out and help you if you need an emergency plumbing service at any time. This is just one way that we show you that we really do care about your plumbing experience and that you can rely on us for whatever you need. When you need plumbing services in Mills River, Hendersonville, and Asheville, NC, call us at 828-778-2425, and we will be happy to help you. Updated on January 22, 2019 at 12:54 pm by All About Plumbing.